Jim Carney represents people who have been injured in catastrophic accidents of all types resulting in death or serious injury, including, traumatic brain injury, serious spinal cord injury, severe deformity, horrific burns and other serious injuries. Mr. Carney's corporate representation includes local, regional and national corporations. He has appeared in several federal and state courts throughout the country. His representation includes defense of products liability claims, commercial litigation and catastrophic injury claims. He regularly monitors products liability litigation, including coordinating national and regional counsel. He appears as counsel of record on behalf of corporate clients in cases throughout the country. Mr. Carney regularly advises his corporate clients on product warnings, labeling, catalog safety language, risk management, risk avoidance and litigation management. In addition, he consults on corporate relationship and responsibility to insurance providers. Mr. Carney regularly advises multi-state corporations on general corporate issues, contractual relationship and litigation matters. 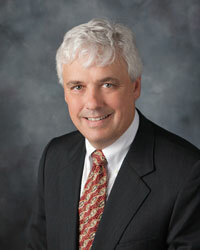 Mr. Carney has represented Cincinnati Insurance Company on matters throughout the State of Wisconsin since 1986. He is regularly retained by other insurance companies as well. Mr. Carney is an AV rated attorney by Martindale-Hubbell who is active within the community and with the State Bar of Wisconsin. He is a member of the Rock County Bar, State Bar of Wisconsin and the American Bar Association. He is a past president of the Rock County Bar Association, and a member of the State Bar of Wisconsin Board of Governors (2006-2010). He has been or is currently on the following State Bar of Wisconsin committees: Finance, Strategic Planning, Bylaw, and LRIS. Mr. Carney is the chairperson of the District 12 Office of Lawyer Regulation Committee appointed by Wisconsin Supreme Court Chief Justice Shirley Abrahamson. Mr. Carney was an invited participant to the American Associate of Justice Trial Lawyers Delegation to the People's Republic of China in 2007.